Partly cloudy. High 58F. Winds NE at 10 to 20 mph.. Partly cloudy skies this evening will become overcast overnight. Low 42F. Winds ENE at 10 to 15 mph. SAN DIEGO, Calif. —Tracey Anne Clemens was born June 22, 1968, in Missoula to Leslie Kohn and Roger Clemens. She lived her younger years in Billings and graduated from Billings Senior High School before moving to San Diego to complete her degree in business management. She became an Aztec football fan as well as an avid Griz fan. She relished attending the annual Griz-Cat game with her father in Missoula. Tracey worked as an independent contractor in the ski travel business, sending her clients around the world to ski destinations. She loved her work, clients, co-workers and the travel opportunities it provided. If a mountain had snow, a chairlift or gondola, Tracey had skied there! She lit up the room wherever she went with her beautiful smile, positive attitude and wonderful zest for life. She was befriended by many and loved by all who met her. 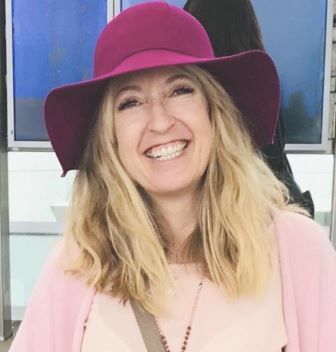 Tracey lost her battle with cancer Feb. 26, 2019, in San Diego, California. A GoFundMe account in her name has been activated by her ski associates to send an individual with cancer on a ski trip each year. Tracey is survived by her father, Roger Clemens, Montana; uncles Jay and Judy Kohn, and Tom and Sherry Clemens; aunts Sue Spaulding and Sandy Kohn, and numerous nieces and nephews. Tracey was pre-deceased by her mother, Leslie. A Celebration of Life will be June 4, 2019, in Del Mar, California.